Bartaco, Dr Phillips – Get excited for their exclusive Snapchat filter that will be live all day long, and for a big #bartacosecret reveal! Visit the event’s Facebook page for more info. Chuys (all Central Florida locations) – Grab your friends and come “taco bout it” with all day taco and drink specials Taco and drinks specials. Visit the event’s Facebook page for more info. Cocina 214, Winter Park – Try the newest edition to the menu, a trio of Rotisserie Chicken Tacos for $10. The tacos feature achiote rubbed rotisserie chicken, served with veggie rice, queso fresco, roasted corn, sautéed poblano salsa on corn tortillas. Visit the event’s Facebook page for more info. 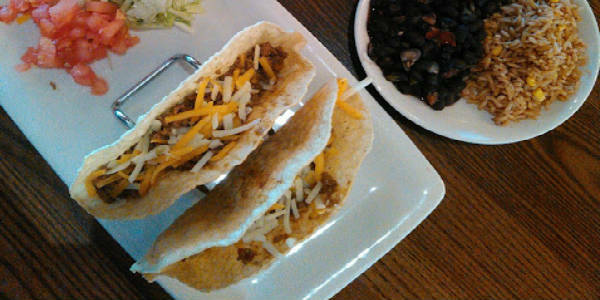 Fuzzy’s Taco Shop, Altamonte Springs – Enjoy $1 tacos all day long. Visit the event’s Facebook page for more info. Hunger Street Tacos, Winter Park – All tacos will be $2.50 all day long. Visit the event’s Facebook page for more info. On the Border (all Central Florida locations) – Enjoy 50 cent mini crispy tacos (ground beef, tinga chicken, or veggie) all day long. Visit ontheborder.com for details. Taco Bell (all locations) – Offering $5 Taco Gift Boxes today only, featuring a Nacho Cheese Dorito Locos Taco, Cool Ranch Doritos Locos Taco, Fiery Doritos Locos Taco, and a classic Crunch Taco, wrapped in celebratory paper. Visit the brand’s Facebook page for more info. TIjuana Flats (all locations) – Enjoy $2 tacos and $2 Mexican drafts all day. The Taco Day special features the traditional Tijuana Flats taco, which includes a protein option (chicken, beef, steak, refried or black beans) and choice of toppings (jalapenos, onions, lettuce, tomatoes, sour cream and cheese) piled on a hard corn, soft flour, or wheat tortilla, and served with chips. Visit tijuanaflats.com for the nearest location. Know of a National Taco Day special we missed? Drop it comments so other readers can enjoy! Thanks! ← Win Tickets to The Americas Cake Fair Oct 13-15, 2017!